Whatever your occupation, your expertise, your nationality, race, gender, class, religion, creed or political orientation; if you have a heart that cares, a mind that thinks, and a conscience that can not rest in peace or laugh while others are suffering and entire portions of our human family are being systematically lost, then join this rally for a paradigm shift. Donations can be made online, via mobile or by using easyfunding. All donations are secure with over 95% of donations going to the people in need. Thank you in advance for any support, big or small! Donate online via the justgiving website. Donations can be made through your credit card, debit card or via an electronic funds transfer — online giving is safe and quick. 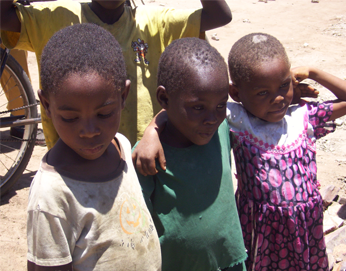 Donations can be made directly to HEART, where the money will go to the most urgent or current projects running. You can also made donations to any ongoing fundraisings, these are situated at the bottom of the justgiving page. Furthermore you can start your own fundraising, inviting friends and family to support your fundraiser, this can be achieved through clicking the "Make your Page" link. Once again thank you for any support. 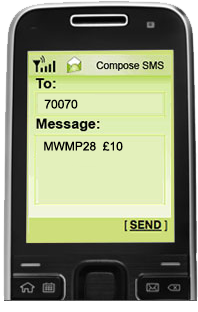 If you have a mobile phone you can donate to HEART by texting MWMP28 £(inserting your desired amount here), as indicated by the picture on the left, which is making a donation of £10. Your generous donation will appear on your phone bill. www.Easyfundraising.org.uk provides a FREE service to charitable organisation like HEART where you can shop with your favourite online stores and at no extra cost raise funds for charities. Choose from over 150 of the UK's best-known retailers and every time you shop using the links on their site, up to 15% of your purchase price is donated back to HEART. It doesn't cost anything extra to shop and raise funds in this way and as many retailers now give extra discounts when you buy online, you can even save money! For example, spend £25 with WH Smith and 3.5% will be donated. You will have raised £0.88, at no extra cost to your purchase. Make any purchase from Woolworths and 2.5% will be donated. Insure your car with The AA and raise £30.00, or purchase a mobile phone from Vodafone and raise £19.25, and so on. Please pass this message on to all your friends. Just think, if 1000 people sign up and shop an automatic bonus will go to HEART plus the percentage of the sale. There is no down side. It is easy and FREE to join. Click the link below and follow the directions. The sign up process is really simple. Then do all your online shopping through easyfundraising. Don't keep this good deal to yourself - share it with your friends and family.